Chevy Trax Forum > Chevy Trax Forum > Chevy Trax General Discussion > '15 LT Window buttons on drivers side not lit? 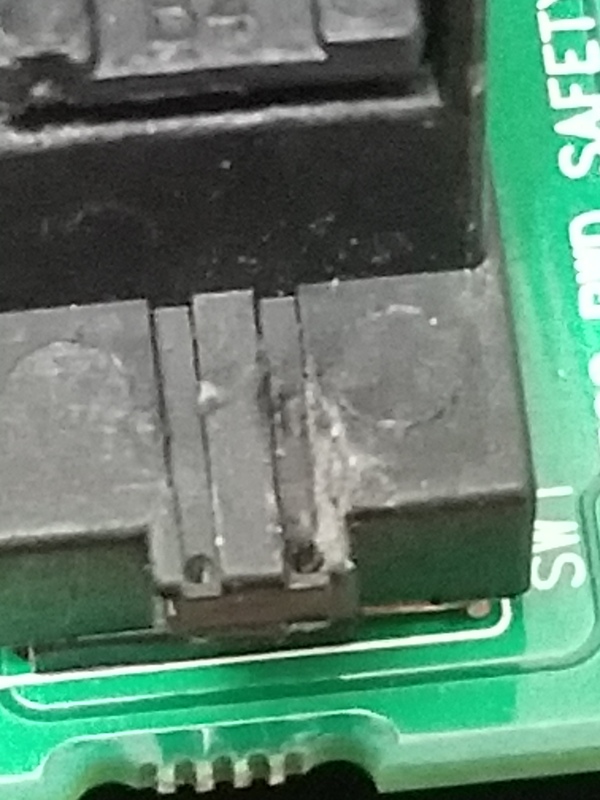 '15 LT Window buttons on drivers side not lit? 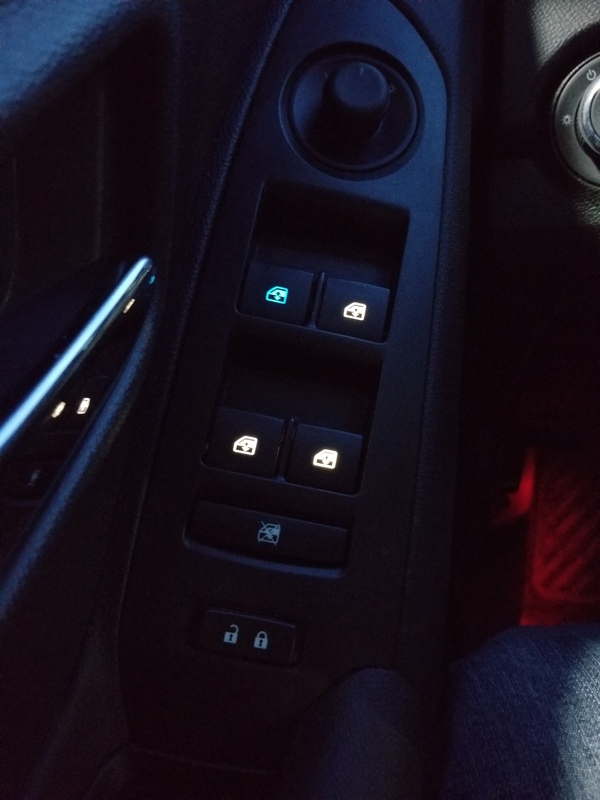 Are all the window buttons on the driver's side door supposed to be lit? i only have the one(driver) which is illuminated. wanted to check in here before i call the dealership. Mine is the same... and it shuts off when you open the door leaving only the lock and unlock buttons lit. Mine is a 2016. 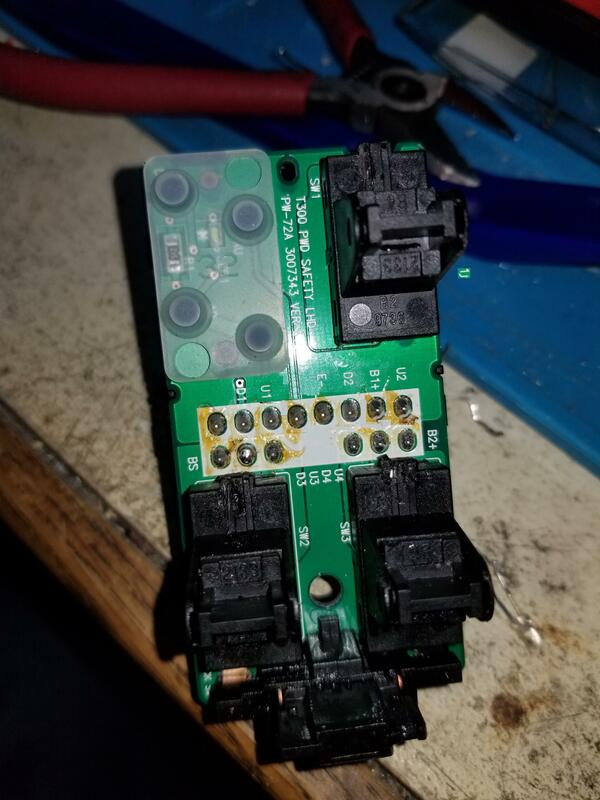 I'm going to pick up a power window switch from the junkyard and take it apart to see if it is possible to light the other 3 switches. I will post back here with pictures and results. 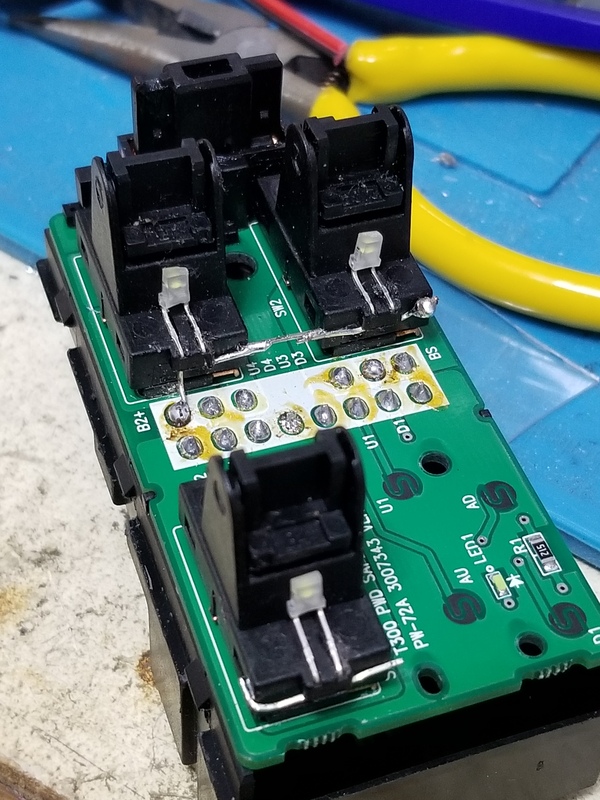 To be honest, there isn't a lot of room in there to put in an LED on each of the 3 switches. 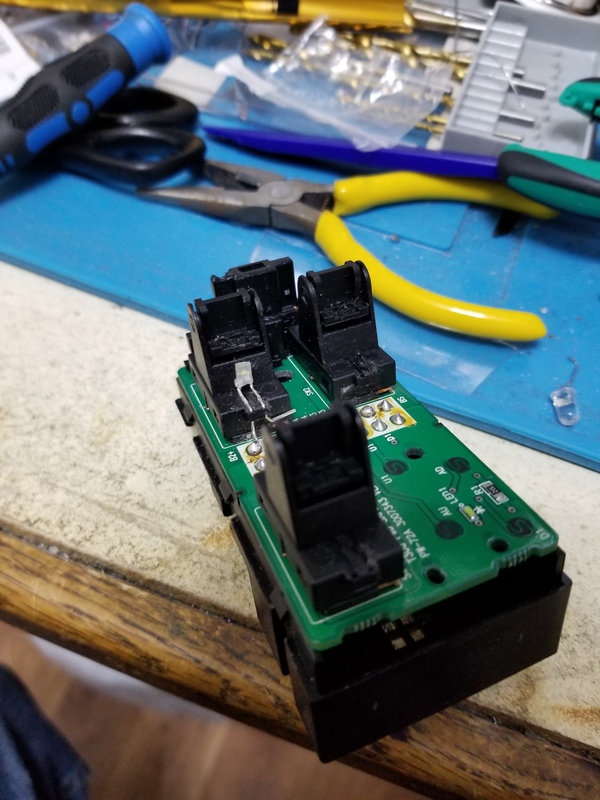 I had the switch apart, the driver's door is an electronic carbon type switch( LED is a surface mount ), where the 3 others are mechanical switches and they take more physical space. 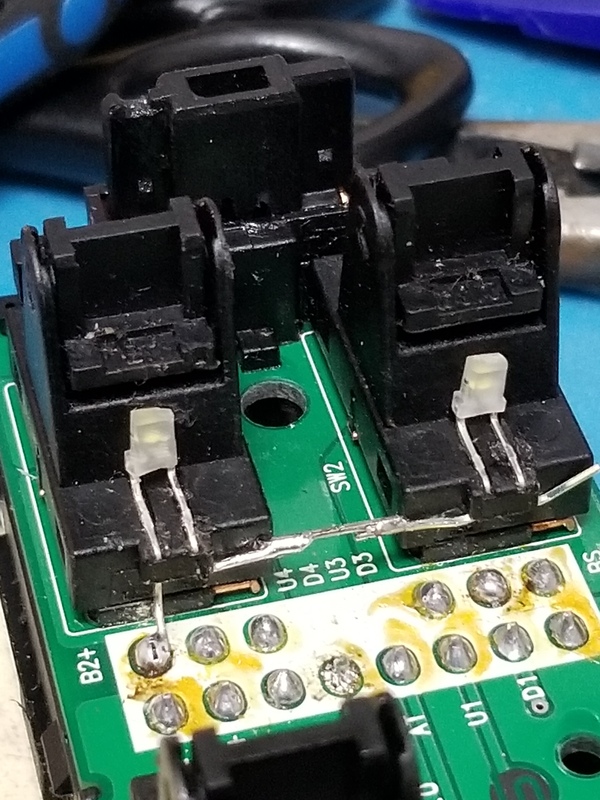 I'm still going to try and stuff 3 LEDs in there somehow when I have time to attempt this. 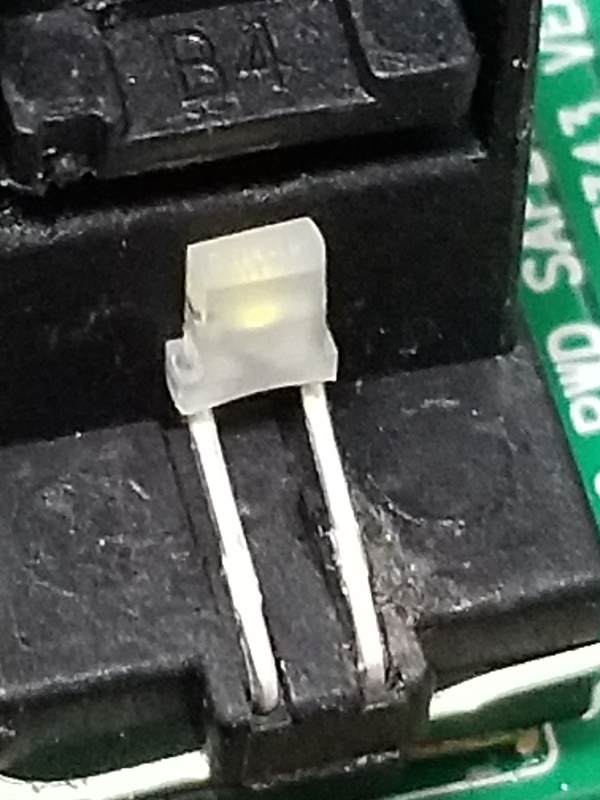 I ordered the smallest LEDs I could find. Last edited by Traxy; 03-07-2019 at 04:10 PM. As promised. 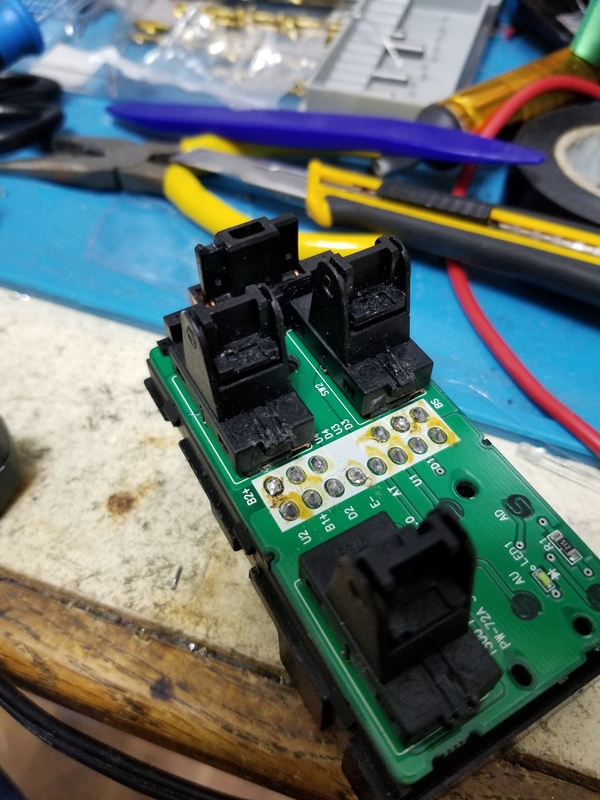 I finally got the 3mm 12V LEDs today so decided to try stuffing them in the switch. Here is somewhat of a step by step. 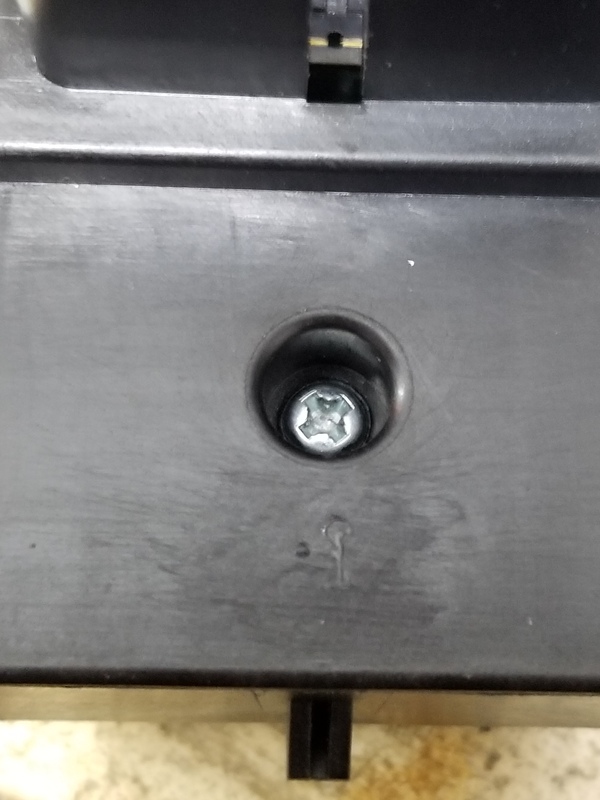 The switch assembly just pops out starting at the bottom with 3 connectors that also pop out easily by depressing a push tab. 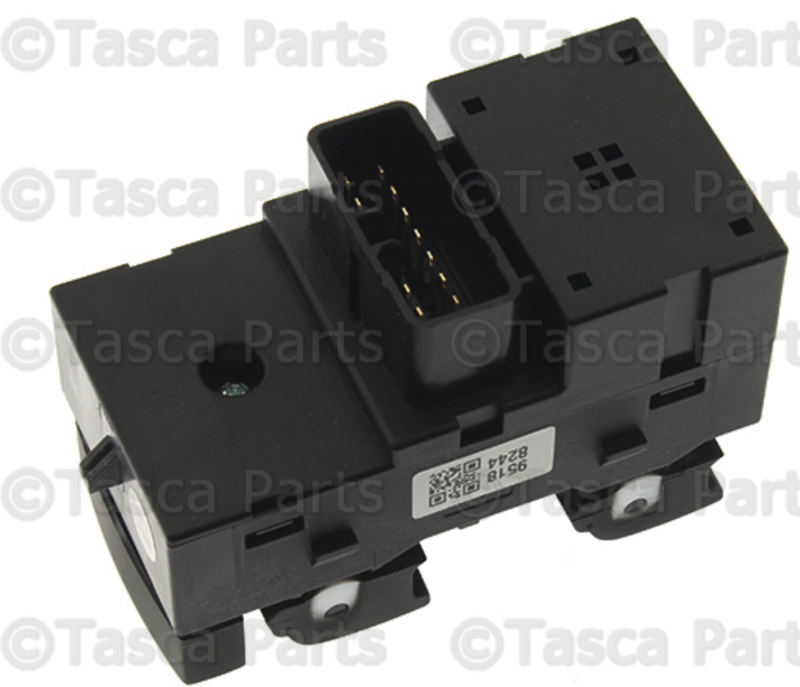 Power window switch is held in place with clips and easily comes out. Once you have the switch in your hands pull the rear door lock enable switch cover straight out. 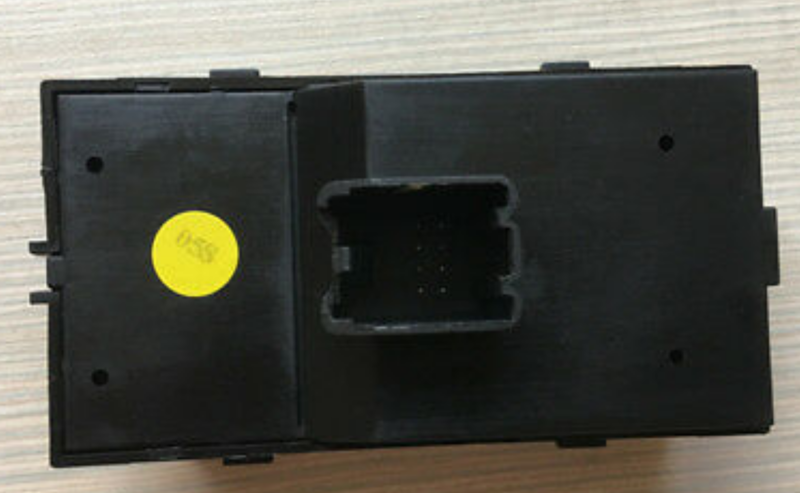 One philips screw holds the back cover and six plastic clips 3 on each side. You end up with this, be careful not to lose any parts when separating the 2 halves. 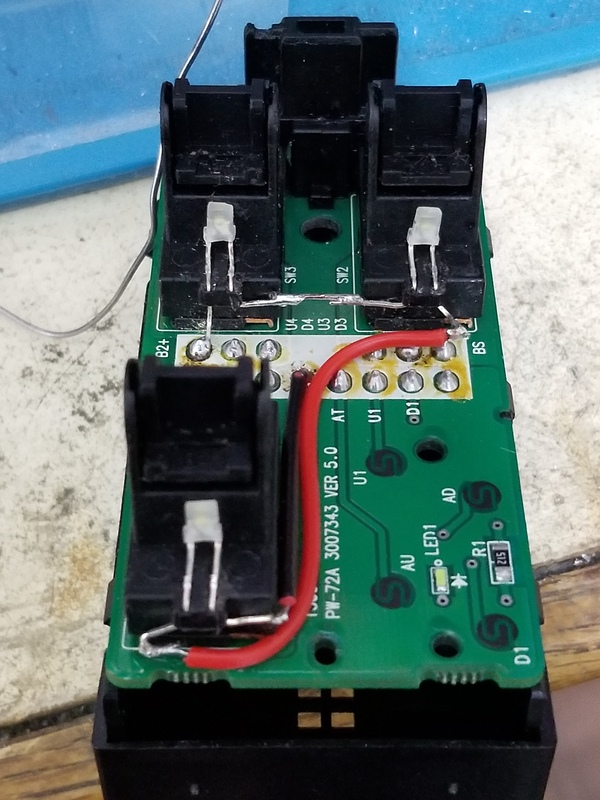 These LEDs aren't quite the same color and at 12 volts are really too bright and would be a distraction and annoying so I decided to place them in series so they would run at 4+ volts which should be bright enough to light the icons. 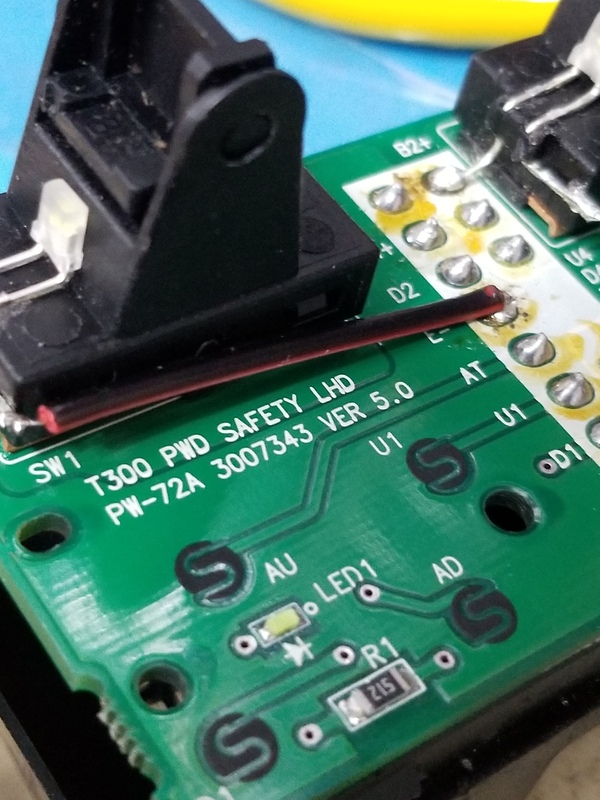 Then I encountered my first obstacle, even these 3mm LEDs were too big and too round to fit in there so I decided to file them down to size so they would fit. Here you see an original and a modified version. Should have had a dark background but hopefully you can see that they are now flat and the lens has been also filed down. Then the second with a test try with 6.5 volts each and still to bright. Next all 3 LEDs are physically mounted and ready to be wired. Wired the negative of the front passenger side switch to ground E- on connector. 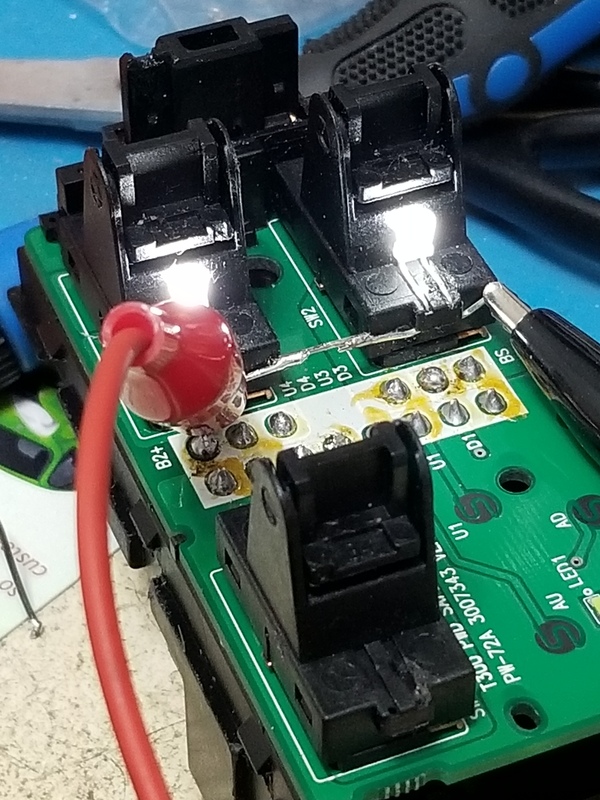 Then ran a red wire from positve of LED FPS to negative of RDS LED, then jumpered the positive of the RDS LED to the RPS negative of it's corresponding LED, then the positive of said LED to B2+ on connector. Now it was time to test the circuit in the Trax. Well that all works, now to assemble the 2 halves and see if the LEDs do not obstruct any movement of the switches. 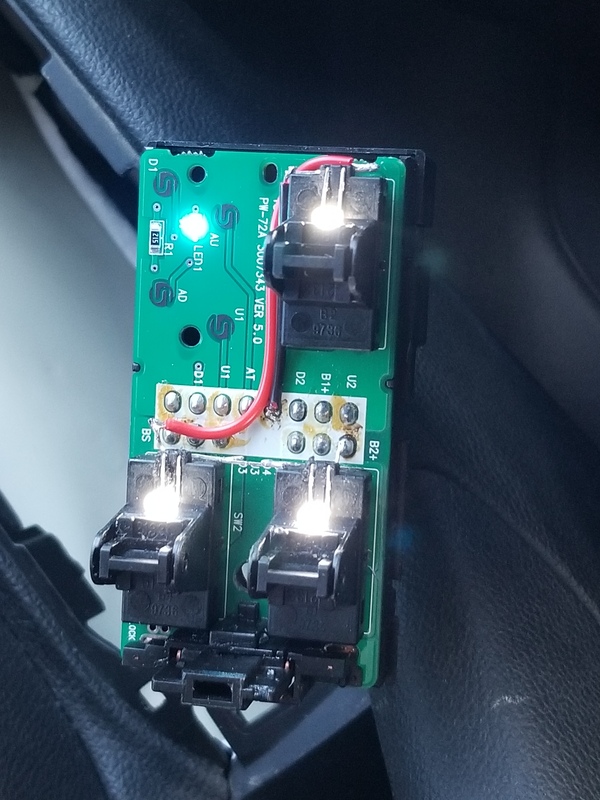 Can you share what P/N LEDs you used? 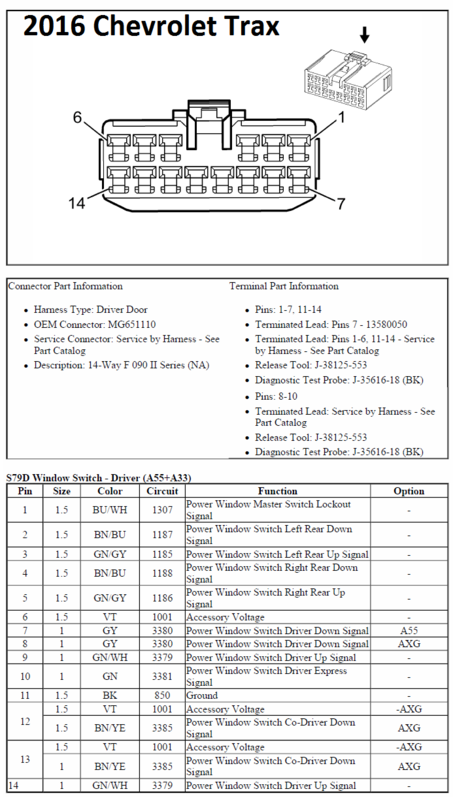 I was looking at this one from Digi-Key. 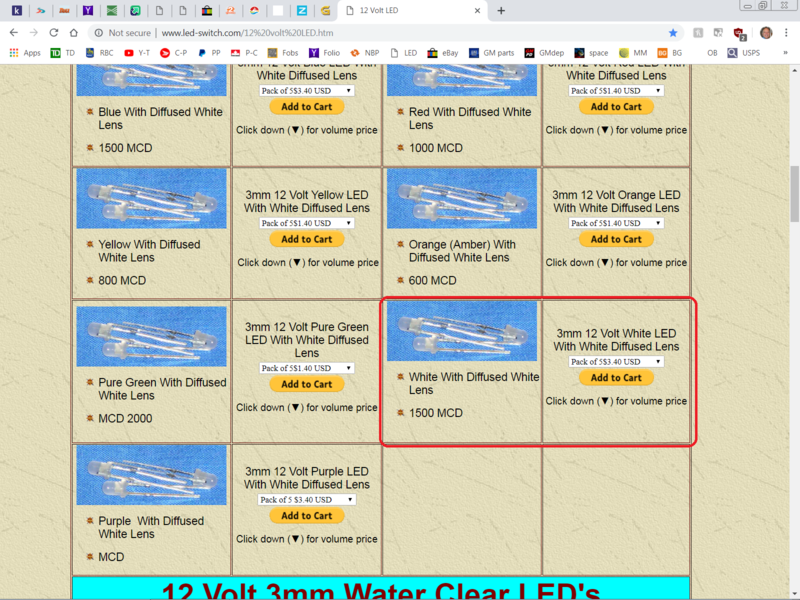 It is a 3mm Turquoise colored LED but it is rated 3.5V and is very bright. 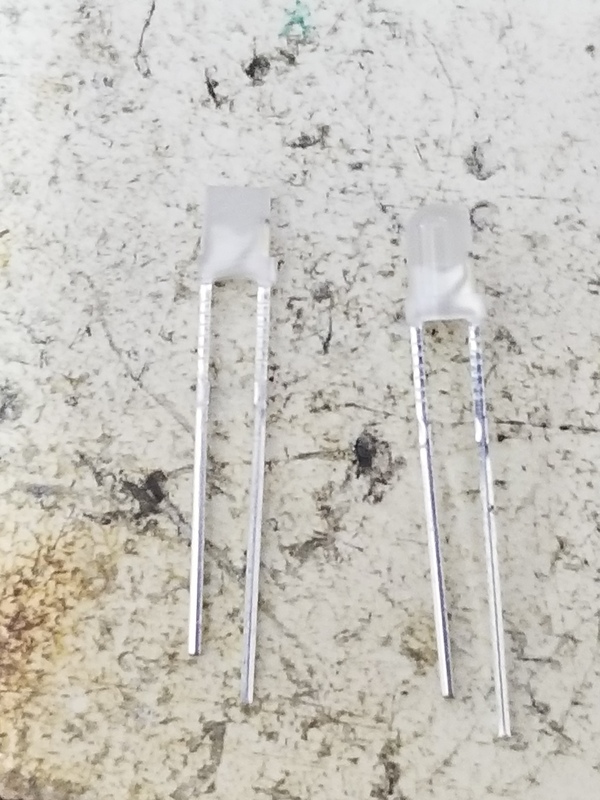 I would need to connect them in series like you did and then add a resistor of 180 to 390 ohms in series with that to adjust the brightness and to drop the voltage to a safe level. I am guessing that turquoise is pretty close to the color that is already there? You will still have the only 2016 since mine is a 2018. 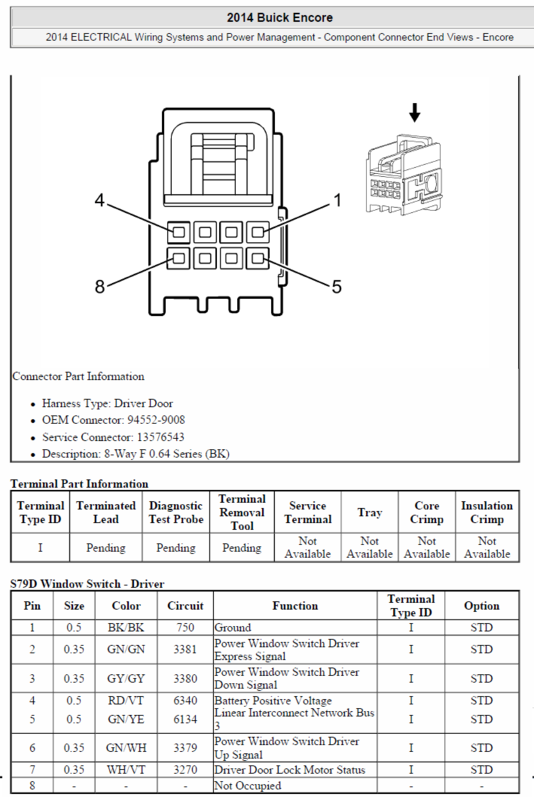 I have not yet checked to see if the window switch is laid out the same as yours. No part # but if you lookup this site you will find the one I used circled in red in picture. Last edited by Traxy; 04-04-2019 at 04:10 PM. 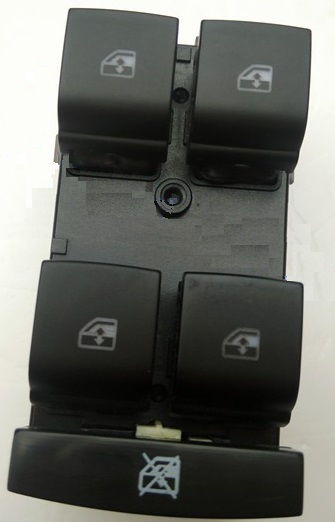 2016 Encore power window switch GM#13305373 ( BLACK )??? 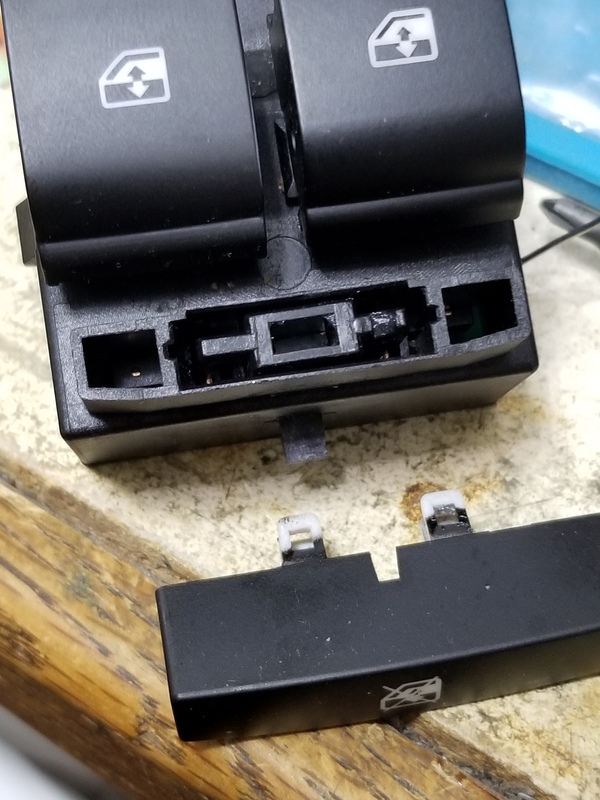 Update: The connectors and connectivity are totally different, bummer but I will still take the new switch apart to see how it is lit up from inside and I will post pictures. Sorry for bringing your hopes up! Last edited by Traxy; 04-10-2019 at 01:59 PM.